This is a joke, a real joke. After the 4 Catholic bishops issued a religious letter, the totalitarian regime that put a patriarch under house arrest and replaced him by PFDJ religious messiah, the fate of the PFDJ is coming to an end. 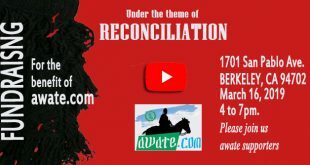 Calling 150 religious leaders to a gathering might be one of its kind to be a held in Asmara. 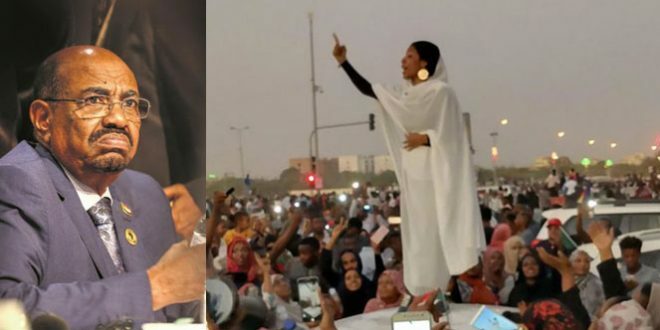 Worse, the PFDJ didn’t hold the gathering to speak on the deteriorating religious values under its system but to deliver a command from a police officer who told the “religious leaders” to respect the nation’s cultural values. Religious leaders are supposed to be spiritual guardians of believers and feeders of the human spirit for an inner peace. 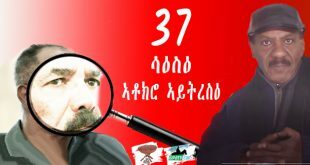 The primary mouthpiece of the regime in Asmara, shabait.com, wrote, “The Commander further urged communities to step up collaboration with the Police Force regarding crime prevention.” Yes, the commander who is commanding religious leaders to be an extension of his office and spy on the people. This is a clear sign of a complete authoritarian system. Religion has become a tool for the PFDJ while religious freedom is totally absent. Imagine a once a Marxist-Leninist guerilla fighter, who denounced God, command religious people whose prime mission is teach about God, to receive orders from a commander of the Eritrean police. Just imagine! This is a moment where the letter authored by the Catholic Church priests is showing its significant influence. 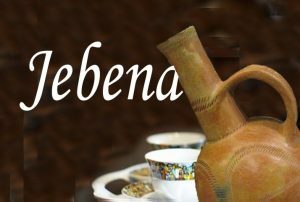 Yet another shameful statement on the PFDJ website stated, ” …meeting is aimed at nurturing a law-abiding society and the supremacy of the rule of law.” Who has to respect the rule of law? The regime or the society? And where is the Rule of Law in the PFDJ system? Society respects rule of law when the state respects it first. But what we have at the top is regime that adheres to the “rule of the jungle”, shamelessly sitting in front of 150 religious leaders and commanding them to respect rule of law while hold[ing] 10,000 political and religious prisoners who are living under the ground. Who knows, maybe the gathering place has a cave beneath it where hundreds of prisoners are living in darkness and are listening what the commander is saying! “Where Is Your Brother?” is a message that cannot be removed from the shelf easily and be ignored. 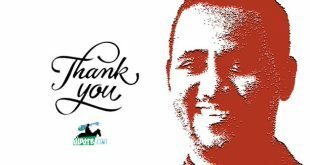 It is a message directed at the regime–thanks to the courageous religious leaders who changed the orbit of PFDJ political state. The Commander of the police said, ” …meeting is aimed at nurturing a law-abiding society and the supremacy of the rule of law.” What a mockery!! As the tyrannical regime’s heinous crimes of September 2001 are being commemorated for the 13th time, it is extremely upsetting to hear such most hypocrite so called “supremacy of law” lecture by a regime that has absolutely no business in lecturing on the subject. What a contempt, what a joke!!! Tesfabrhan, I am sure means ray of hope something to that effect, why then are you always having this gloomy interpretation of anything from home? Come on Tesfa. If religious leaders are receiving commands and lectured on societal values by the police commander and if this is a ray of hope for you, I will just say you are the worshiper of MAN. In fact, I will not be surprised by your response because everything that comes from the dictatorial mouthpiece is your doctrine. You said, “…why then are you always having this gloomy interpretation of anything from home? 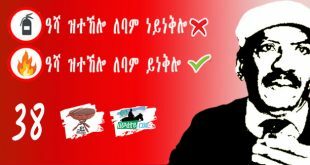 Come on Tesfa.” Did I interpret the news on unfounded reasoning? I am not a worshiper of dictators, just remember that. 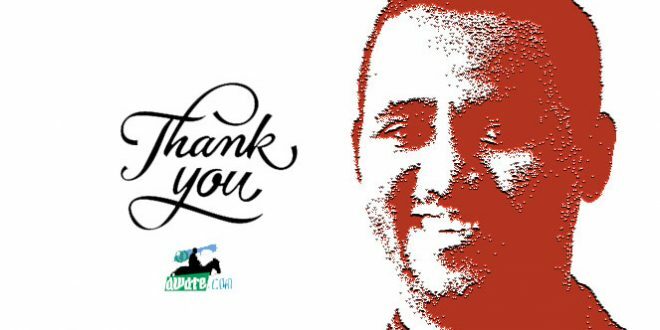 To expose PFDJ lies, so that the voice of the voiceless can be heard is the least I can do at this moment. Do you remember 18/09? What is meant for you Senai? 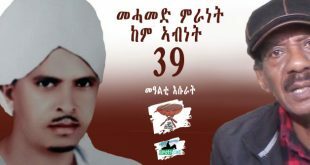 Is there any hope that is aired from Asmara? Look, the engineer who was in the news supervising the maintenance of the dam is my former student. He is on a mission to avoid the failure of the dam because of heavy cracking and to do that 500 manpower is participating on a daily basis. Where are the machineries then? The dam is heavily damaged and is at risk of collapsing. The people could not get help from the PFDJ companies, even a single machinery, to maintain the dam. My former student and now an engineer in the sub-zone is trying his best. Within the 12 minute TV news, if you can tell me that there is at least one news of hope coming from Asmara, I will be happy to hear it. Do not fool yourself about the good summer. Even during the best summer rain, Eritrea can only secure 60% of its cereal demand. 40% will be imported through black-market, you know very well, dear Senai, how the PFDJ trades. The for the rest, read what saay7 wrote in an excellent way. 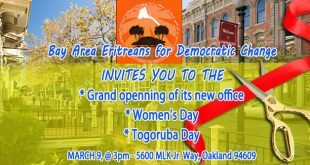 PFDJ is there to give commands, typical of the working system of dictators. My hope is on the letter (Where Is Your Brother?) and if you have a good heart, respond and say that your brother is everywhere, maybe closed inside container that is crossing to UK, and he is without any care. Please read this read this. 2. If the regime wasn’t lead by ignorant people we would have had it. The regime a true and unyielding enemy of the Eritrean people. Within that context, I would imagine the task of exposing this cardinal truth in whatever ways possible is like saving life. There really isn’t two way about it other than (sooner or later) physically dealing with the nutcase. Can you think of “one single” right or privilege that was taken away from the people, under any pretext, being ever restored by the regime? No, because what is implemented is a deliberate act of controlled demolishing of Eritreans. That is why I don’t question the regime on the specific roles it plays as an avowed enemy, just go on attacking it. Unless Eritreans somewhat see the urgency (they know the sufferings), it would be too late. I would liken it to the strange case that if throw a frog into hot water, it would jump out, but if you place it in a cold water and then turn on the heat, as the water boils, it would sit there till it gets fried to death. Our people must re-evaluate and taking a physical measure against the mutter is way past due. The role of the police and the religious leaders is clearly delineated. The police enforce the law of the land the religious leaders enforce the moral and ethical law. This sounds the cruel child torture game known as “ ለፊዓ’ዶ ቆርቢዓ ?” There is nothing one can say to avoid the torture. When we say religious father we mean people who are always connected with God’s system. Although different in their symbols and worshiping style they all want to think on the way God wants them to think. religious father are careful and see things with result of heaven and hell. we have experienced how governments accuse them of fundamentalism. not only that it is very easy to drag a religious movement to extremism. PFDJ is known for it’s method of accusing movements. 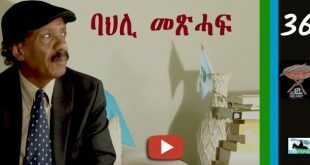 leave alone a religious man’s reaction against PFDJ even the political movement of wedi Ali has been accused to be one sided movement. Religious fathers need our help as they are in prison as you can see. This is an Automn harvest. I am busy with my study but I could not miss a chance to read every comment though I found it hard to follow as I wish. And here, you surprised me by putting my reactionary comment to the joke (mockery) that was put on shabait. PFDJ has no moral value at all and is in no shame to give commands to religious leaders that nurtured the society for more than 1500 years. Had it being the other way round, the religious leaders gathered to lecture societal values to PFDJites and their police commander, it could have a great sense though a guerrilla fighter has no respect for social values at all. 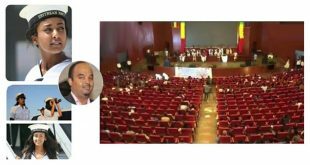 It’s my favorite because an Eritrean regime representative lecturing Eritrea’s religious leaders (with literally centuries of tradition in morality and ethics) about how to transfer value to the faithful is as absurd as a gangsta reporting on right and wrong. The only thing that remained for the people is their religion. 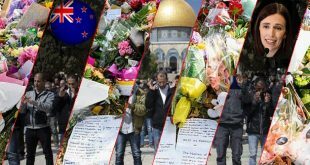 Through their religion, they hope for better days and endure the misfortune that has befallen them. Even that the regime is taking away from them. Trying to teach cultural and social values to the keepers of religion and human dignity, by a messenger of one of the worst dictators, is not only surreal, but also complete madness and naked audacity. permanent war” has permeated every cell of every Eritrean, including even religious fathers. This I think is the reality of PFDJ’s Eritrea. with them in the battlefields. May be the priests were not engaged in fighting, but they were blessing and praying for the victory of their people. One might say that Italy, Egypt, Sudan etc were foreign invader. Eritreans have been made to believe that Ethiopians are even worse. PFDJ has brainwashed and intimidated especially the Tewahdo religious denomination, to the extent that they have been made to believe that in times of maximum national threat (Ethiopia being the threat), even priests should take arms to defend their country, family and religion. We should not forget the strength of propaganda and intimidation, because these can make even the strongest souls sometimes to succumb to the wishes of a dictator. Under pressure and at the same time believing in the superiority of the white race, the Pope blessed the invasion of Ethiopia. 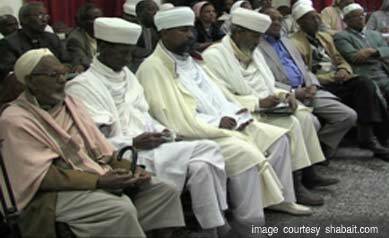 It does not mean that Eritrean religious fathers have completely forgotten and abandoned their religious duty to the Eritrean society. Like St. Peter who denied Jesus briefly, they are also forgetting the people temporarily. It does not mean that they do not feel accused and tormented by their conscience. Simply they are overwhelmed with the situation. With the first chance, they will stand with the people. On the contrary, one should be much more disappointed with the politicians who know everything and yet they have chosen to remain silent and abandon their people for the sake of their own personal benefits. These are the real sinners.